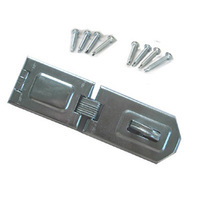 Quick and easy to install, this simple Single Hinge Hasp is an affordable security solution. 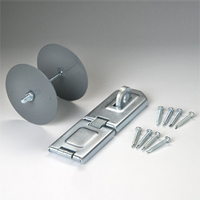 Use it one garage doors, outbuildings, fences, or to provide extra security to a home door. 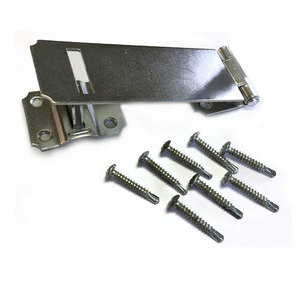 Install the Single Hinge Hasp using the eight provided wood screws and attach a padlock (not included) for easy security. Galvanized to provide resistance to the elements.